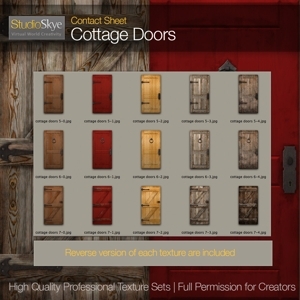 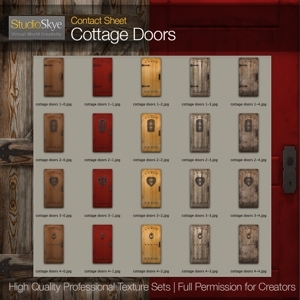 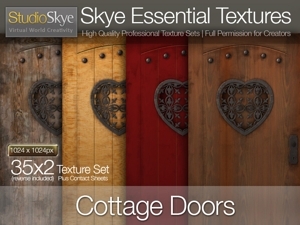 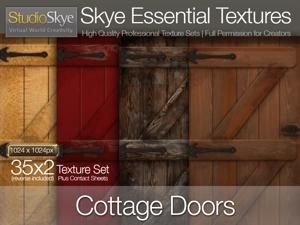 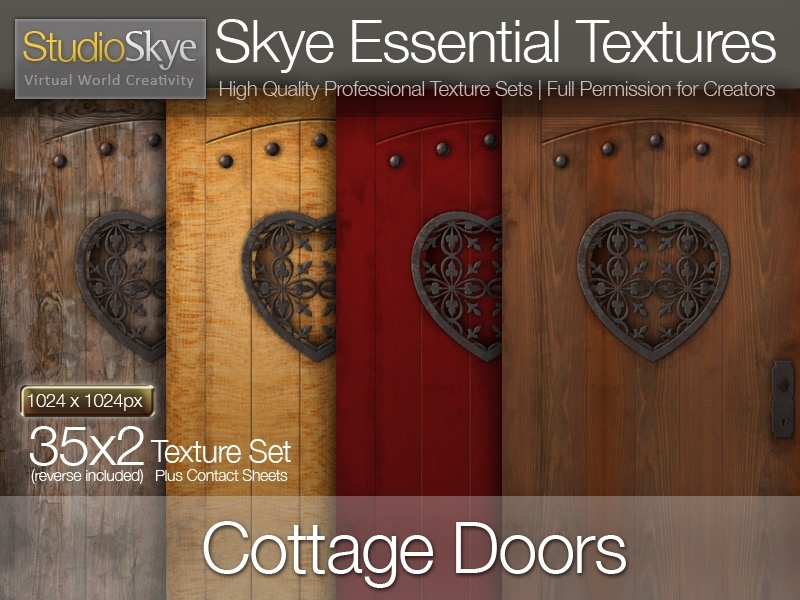 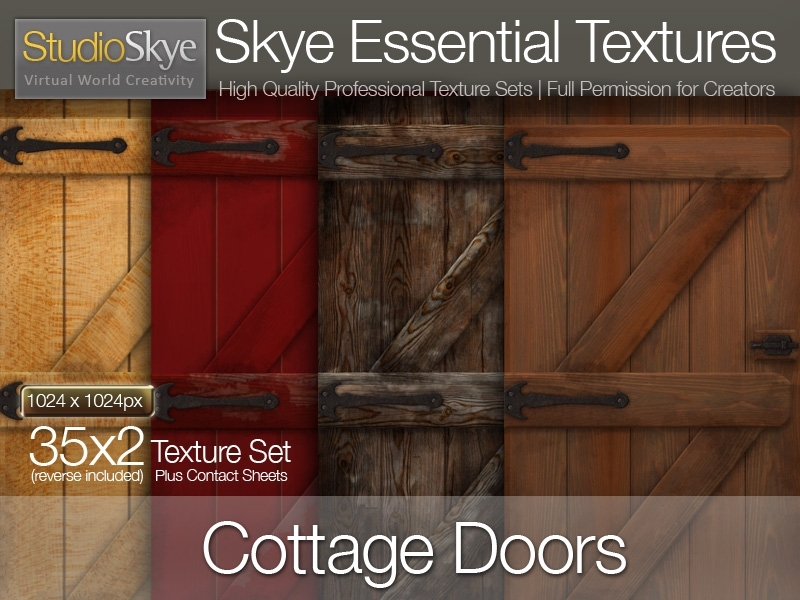 Cottage door textures include 3 door frames in a range of woods and fitting. 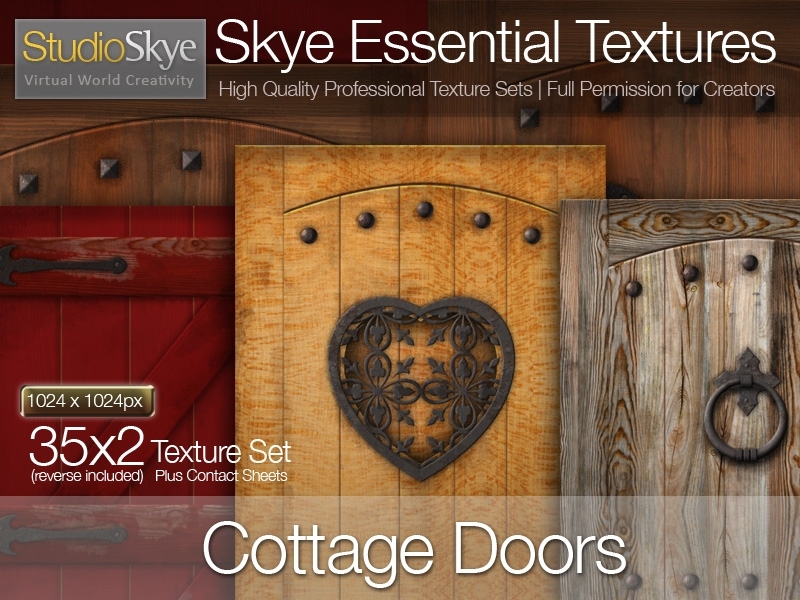 Reverse textures included (with doorknobs removed!). 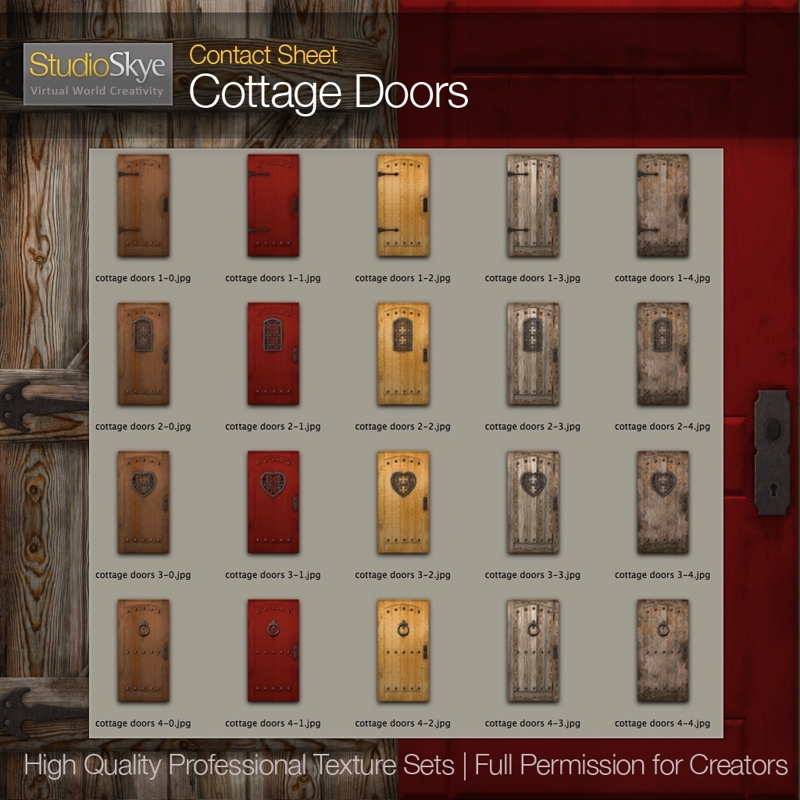 35 × 2 textures.